Based in the U.K., Screenbound emerged from various U.K. distribution, production and DVD companies founded in 2003 by Alan Byron. In 2015, the companies were all brought under the Screenbound brand, and the international sales and distribution arm – Screenbound International Pictures – was launched to represent a classic film library of over 500 titles. “We are honored to be working with Alan and Screenbound, and so pleased to be launching with some absolute classics in the music video genre,” said Ed Seaman, COO of MVD Entertainment Group. 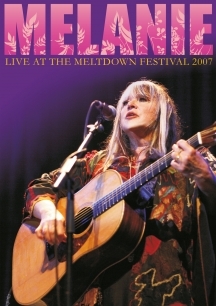 The first ever release of a Melanie concert on DVD. Jarvis Cocker sent Melanie a special invitation to open the Meltdown Festival at the Queen Elizabeth Hall, London in June 2007. This DVD showcases that intimate evening’s performance from a unique songstress who sings all of her hits including Brand New Key, Beautiful People, Peace Will Come, Hush A Bye, Ruby Tuesday, Alexander Beetle and many more. YES has always been regarded as a unique rock group and progressive rock legends. 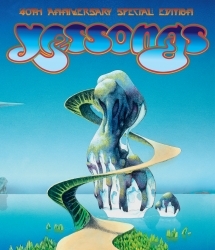 Never afraid to innovate or draw their inspiration from music that traversed the spectrum from symphonic to rock, YES has been at the forefront of progressive rock and became a major force in popular music selling over 30 million albums and reaching platinum status multiple times worldwide. During the late 1960’s YES were renowned for their live performances culminating in their seminal album and film of the same name, YESSONGS. 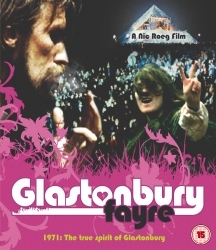 Filmed in 1972 at London’s Rainbow theatre, this feature film was released theatrically in the UK the following year with a quadrophonic sound track. The film features their new line-up of the time Jon Anderson, Chris Squire, Steve Howe, Rick Wakeman and Alan White.